Harrier Comics Revival!!! | CE Publishing Group! Supersite! In the 80’s, a new comic book movement began – a black and white comics invasion, spreading across the fledgling direct market of specialist comic stores and dealers, in America, Europe, and beyond. New independent publishers flooded the stands, like ants invading a picnic. No longer were readers limited to Marvel, DC, and a few Charlton comics -Fresh opportunities abounded for comic creators all over the world. Readers finally had a wide selection of options, with great new publishers like Blackthorne, Lightning Comics, First Comics, Comico, AC Comics, Antarctic Press, Caliber, Continuity, Harris, NEC, Now, Pacific, Fleetway, Aircel, and much, much more. But this new dawn only lasted for a short while, perhaps due to some clever and crafty leveraging by the big publishers within the comic distribution system, or over-expansion leading to a glut, leading to a crash in advance order levels. By the end of the 90’s almost all of the black & white independent publishers were either bankrupt, defunct or bought out. Only a few survived. 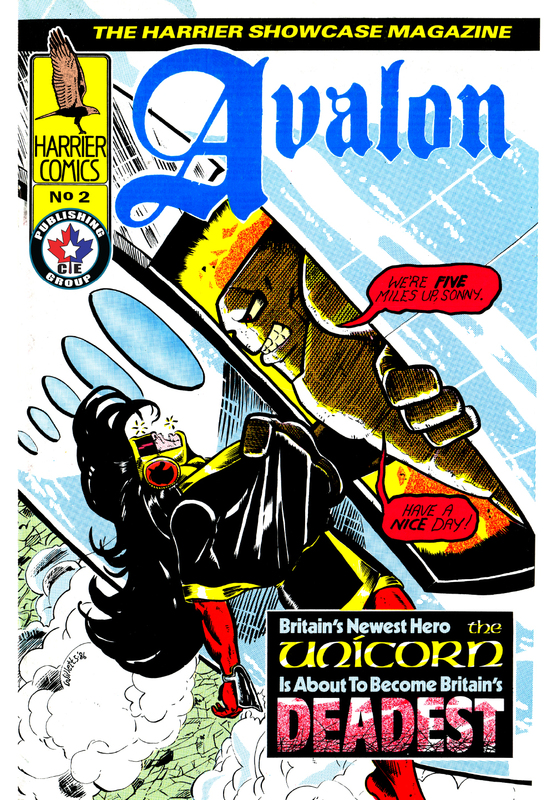 One of the earliest of the black & white independent publishers across the pond in England was Harrier Comics, started by the multi-talented publisher Martin Lock in 1984. Martin, who had previously published one of Britain’s leading fanzines, was soon joined by another fanzine alumnus, editor/writer Rob Sharp, and a whole host of talented writers and artists. 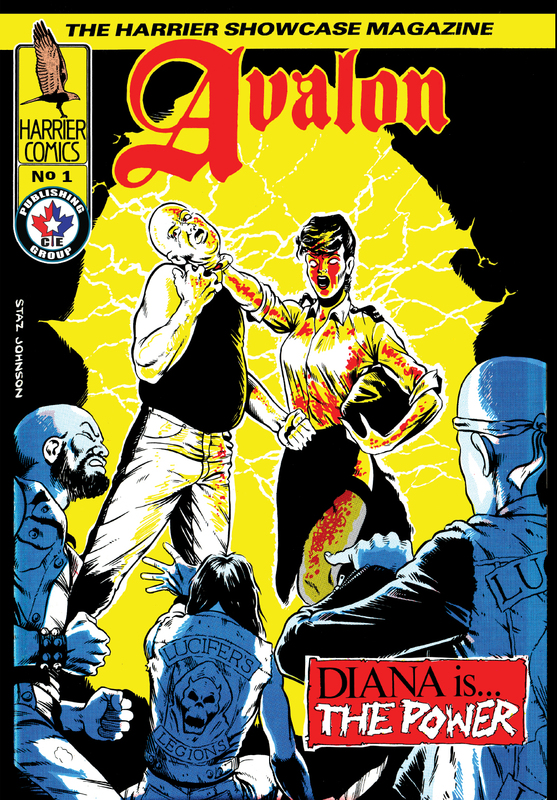 Seasoned fan-favourite comics creators gave Harrier their backing by contributing cover artwork, like Bryan Talbot, Dave Gibbons, Brian Bolland, John Ridway, and John Bolton, while Alan Moore gave editorial input and some introductions. Artists who just about started their careers in the pages of Harrier comics included Art Wetherell, Stephen Baskerville, Kev Hopgood, Howard Priestley, Glenn Dakin, Nick Neocleous, and soo many more incredibly talented people. People like Phil Elliott, Eddie Campbell, Woodrow Phoenix, Mark Farmer, Mike Collins, Tony O’Donnell and Grant Morrison found Harrier a useful place to have their work published, too, with a lot more freedom than the big publishers of the day could offer. I always felt that Harrier and CEPG had much in common, primarily telling the great stories that comic creators need to tell. Not caring much about the financial side of the business, but continuing the stories for the fans. So I contacted Martin, and we hit it off immediately. We formulated some BIG plans for Harrier Comics. The Harrier Revival encompasses reprinting of a majority of the Harrier titles, both digital and in print. The digital reprint books will be completely FREE. Yes, free – unless you feel that you want to make a contribution. And when all of the reprints have been published for any title, then a compendium edition will be published in print! Yes, you’ll finally be able to have all of those impossible-to-find issues in a single book for any given title. The titles we currently have in progress are Swiftsure, Avalon and Conqueror – with Barbarienne, Cuirass, Shock Therapy and Nightbird following shortly after. Sadly, we will not be able to reprint all of the Harrier titles; some have moved on with their creators to other publishers. However, the most amazing part is that Martin has been digging thru his old filing cabinet, and found previously unpublished Harrier stories. Some of the scripts may be hand-written in pencil, but the magic is there. So, yes, there is more to come. We are mobilising to continue many of the Harrier properties with new adventures and previously written stories, if we can bring in a new generation of creators to continue the work. Martin has scripts for continuing and new adventures. And who knows what will happen when new artists board HMS Conqueror, for a wild voyage into the unknown reaches of deep space, or take sword-wielding heroines into battle against evil sorcerers…? 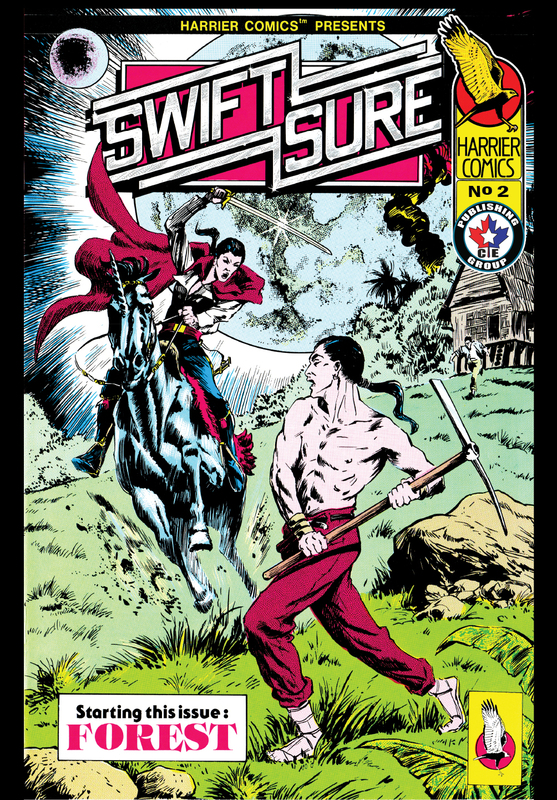 In the meantime… Enjoy our first Harrier reprint editions of Swiftsure, Avalon and Deathwatch at DriveThru Comics! Happy to promote this, but do you have written permission from creators who worked on the Harrier Comics to reproduce their work? 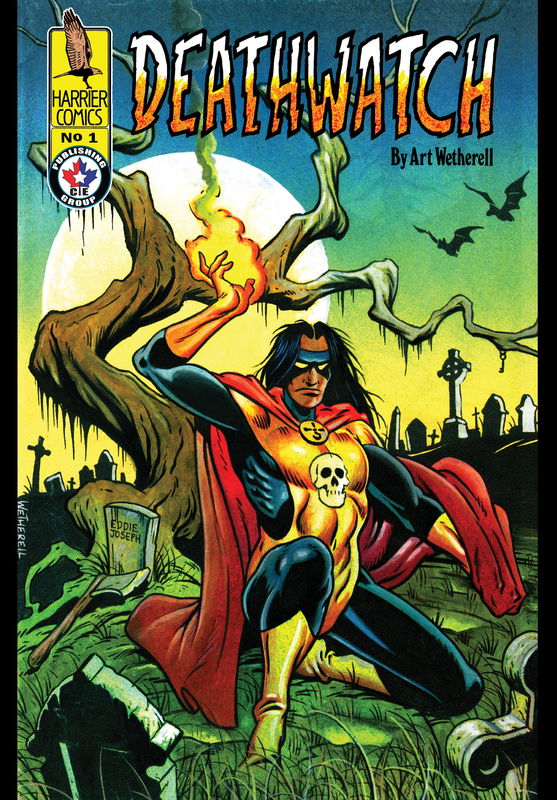 Much of the material Martin published was creator owned. Great to make your acquaintance! I sent you an email to your gmail account. It’s long, but I hope answers your questions.